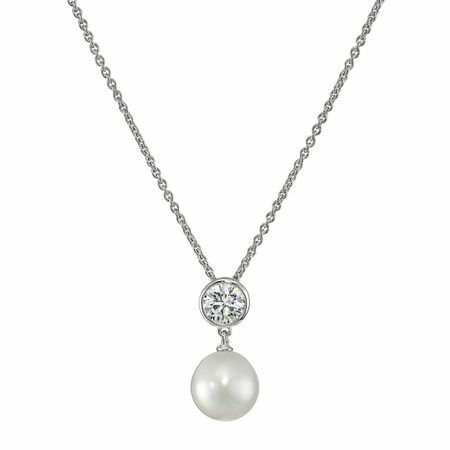 Elevate your classic pearl pendant with this Swarovski zirconia piece! A 9.5-10 mm freshwater cultured pearl suspends from a round-cut white Swarovski zirconia, all in a setting of sterling silver. Piece measures 13/16 by 5/16 inches. Comes with a sterling silver 17-inch cable chain with a lobster clasp.